Powertrains: 250-horsepower, turbocharged 2.0-liter four-cylinder or 280-hp, turbo 2.3-liter four-cylinder; eight-speed automatic transmission; front- or all-wheel drive. 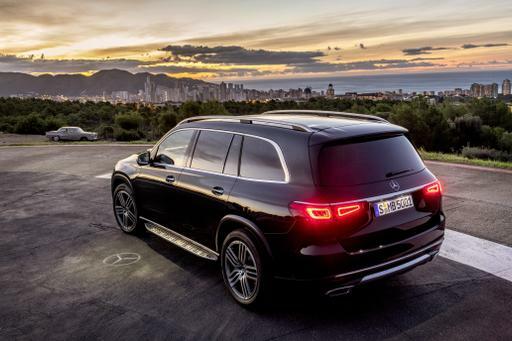 It's going to be a busy 2019 for Lincoln brand, as not one but two mainstream SUVs are set to hit showrooms later this year. 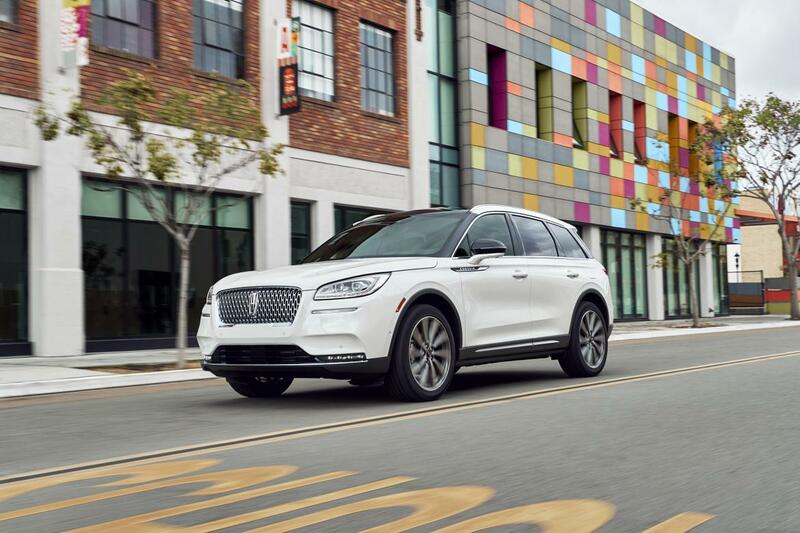 The 2019 Lincoln Nautilus has been on sale for a while now, but the new 2020 Lincoln Aviator is set to arrive in the summer. And hot on its heels will be this: the replacement for the compact MKC set to debut at the 2019 New York International Auto Show, the new 2020 Lincoln Corsair. 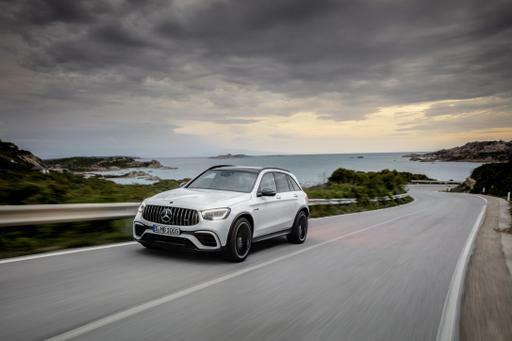 The basic underpinnings of the Corsair are based on the new 2020 Ford Escape, but unlike previous pairings of Ford and Lincoln products, the changes intended to make the Corsair out of the more mundane Escape are surprisingly extensive, resulting in a considerably different animal. It doesn't take much imagination to see the similarities between the Corsair and the Aviator, which look much more similar to each other than the mid-size Nautilus does with the Aviator. The Lincoln brand look is strong in the new model, with headlights, grille shapes and signature taillights that show direct lineage to the Aviator. 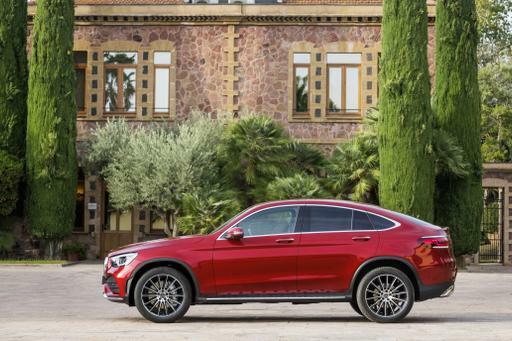 The proportions are a bit different, however, given that this is a front-wheel-drive platform instead of the Aviator's rear-wheel-drive underpinnings. Blacked-out pillars attempt to create a "floating roof" look, and the scalloped body sides are some of the deepest Lincoln has ever done, according to the brand's chief designer. It may be based off the new, much more carlike Ford Escape, but it's safe to say that it looks nothing like its less expensive, mass-market-brand cousin. The same can be said for the interior, which also gets the Lincoln Aviator treatment. A broad, surprisingly vertical cliff of a dash sits before driver and passenger, broken up by a horizontal spar running the width of the cabin that features some Lincoln signature chrome elements in the climate-control vents. A floating center console makes room for storage underneath, and in the dark, a small LED light there projects the Lincoln star logo onto the surface below. As in the Aviator, a 12.3-inch digital gauge cluster is optional, which reconfigures based on which of the five drive modes the driver has chosen to operate in (Normal, Excite, Slippery, Deep Conditions and Conserve). The center console has an available 8-inch tablet-style media screen that can be equipped with the latest Sync 3 multimedia system. The piano-key shifter is also present, integrated into the dash for easy use. An optional, reconfigurable head-up display is also offered, as are 24-way Perfect Position power seats and a 14-speaker Revel premium audio system. Standard is something also found on the Escape: a sliding second row that can either maximize space or cargo room, depending on your need. Just like the Aviator, the Corsair will also use Lincoln's Phone as a Key feature, enabling full use of the vehicle using a personal smartphone instead of the key fob. Unlike the Nautilus, Aviator and Navigator, there will not be a super-luxe Black Label trim for the Corsair. Instead, a special Beyond Blue package will be offered, featuring a bright-blue leather interior with light wood trim; Lincoln's interior designer describes it as similar to the Yacht Club trim on the Navigator, but far more bold and youthful. Other new interior colors will be offered, as well, including Cashew and Medium Slate. Powering the Lincoln Corsair will be a choice of two powertrains. The standard engine will be a turbocharged 2.0-liter four-cylinder engine making 250 horsepower and 275 pounds-feet of torque (the top engine in the Escape); optional will be a larger turbocharged 2.3-liter engine with 280 hp and 310 pounds-feet of torque. Both are mated to a new eight-speed automatic transmission, and either engine can be had with front- or all-wheel drive. A plug-in hybrid was not announced, but Lincoln officials quietly say it will be coming at a later date. The suspension receives not just upgrades from the Escape, but an entirely new setup. Gone is the Escape's trailing-arm rear suspension, replaced instead by a more sophisticated five-link rear. New bushings, springs, dampers and other bits help differentiate the driving experience from the Escape, as well. There's considerably more sound insulation in the Corsair, in addition to a unique firewall behind the dash that incorporates an air gap for even more sound insulation from the engine compartment. True to Ford and Lincoln's latest push, a number of safety systems have been included as standard on the new Corsair. Lincoln Co-Pilot360 is included with the Corsair, providing forward collision warning, automatic emergency braking with pedestrian detection, lane keep assist, auto high beams and blind spot warning. Optional is Lincoln Co-Pilot360 Plus, which brings automatic cruise control with a traffic-jam assist stop-and-go function, speed-limit sign recognition and evasive steering assist. The new Corsair will arrive in dealerships in the fall.